Wow, a miracle! She must have had a seizure or something and then after a sleep woke up. Did you find out if that sort of thing happens? I need to know! ….. or maybe you have a very Holy Hamster. But be very careful just in case she is a real zombie. Oh, I never thought about it being a miraculous resurrection. That’s a much more positive spin on Lula. I also never researched what else it could have been. Mostly I was concentrating on being thankful that I procrastinate, because If I’d disposed of her right away…. ugh. Anyway, I’m pretty sure she’s a zombie. Brains…. A zombie hamster, I love it! Think of the story possibilities. It probably was a seizure, but the thought of a zombie hamster is much cooler! 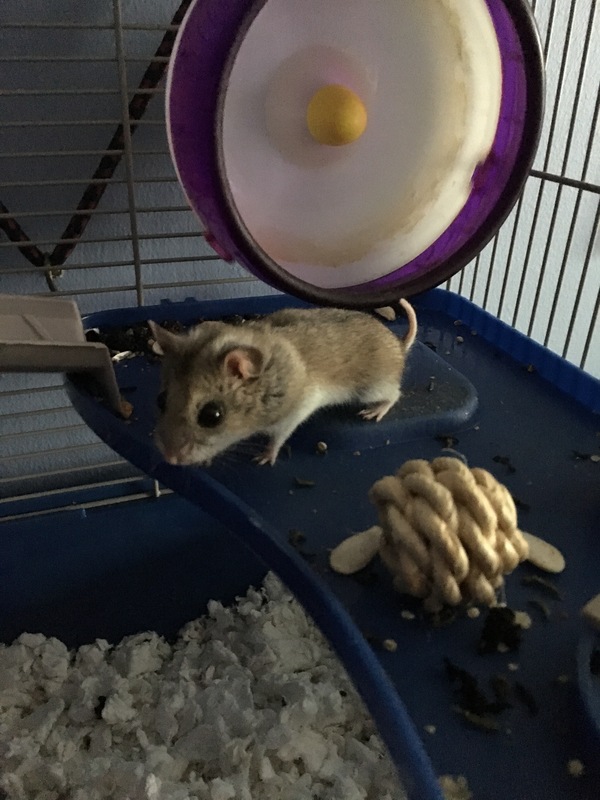 We have a house guest this summer; my son’s girlfriend’s dwarf Russian dwarf hamster. Is it bad that I kind of hope we have a similar incident and can claim to have a zombie hamster as well? It is and I’m glad Lula is still with you. Oh! 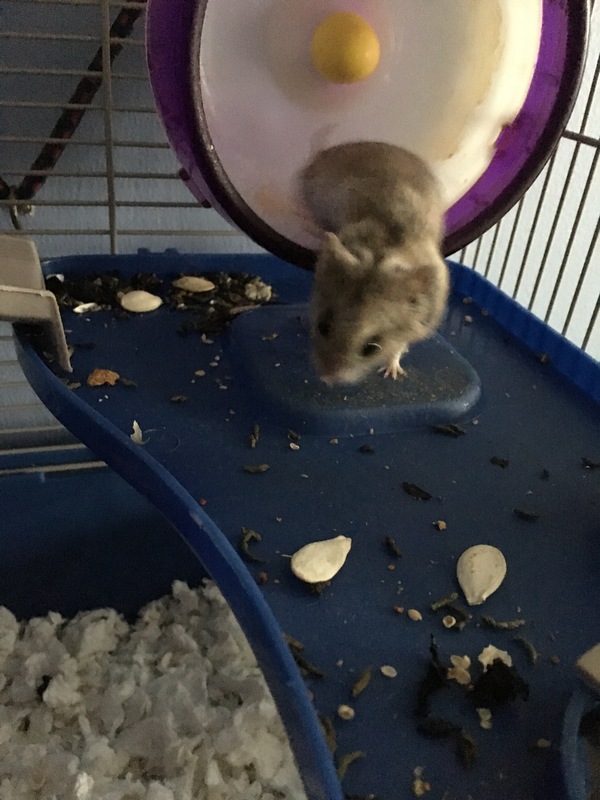 I’ll be sure to post here if the zombie hamster does anything you should be aware of, but even if yours does not become a zombie, be careful about the smaller on the outside thing. 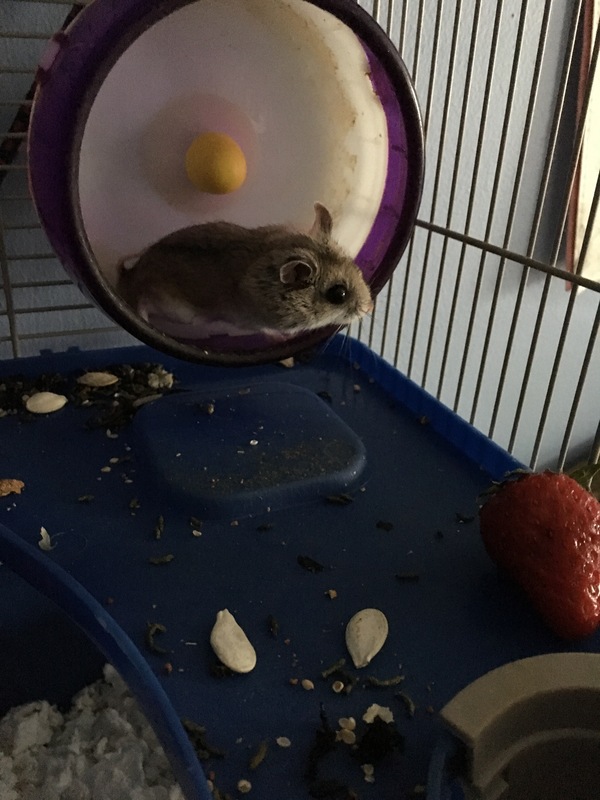 Russian Dwarf hamsters fit through surprisingly small spaces. How groovy is it that the zombie hamster came back to life – and in a friendlier version ❤ It's almost like another (nicer) hamster being inhabited it after the event. So SO happy I didn’t freeze the poor not dead hamster. OH, so good to find you again! I love your posts, and this new blog design is perfect! We moved, from our little old cottage there in CO, and got to the ocean…and I kept up with your knitting projects while we were unpacking, packing, moving, unpacking, packing, moving, unpacking packing moving….yes, three, oops Four times in 8 months. Don’t ask. But your stories crack me up, charging my days with fun and grins. Thank you for this one! Mercy, I could so relate….you have no idea and this one is about a rat….ha! Hello! Welcome back! I’ve been largely away from the space the past couple of weeks filling my brain with all kinds of writing tidbits, but I have missed you! Moving 4 times in 8 months? What on earth??? 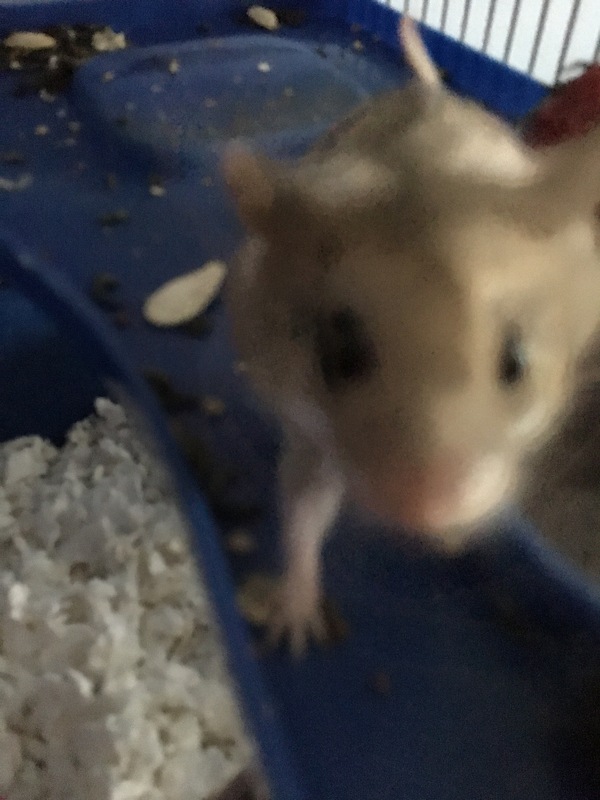 I’ll have to come check out your online space and see if there are any clues to what you have been doing, or maybe I can find this rat story you allude to…. This made me VERY curious so I hopped on Google, and it appears that this has, in fact, happened to other hamsters. Or it’s all the same self-resurrecting hamster. But hamsters can get concussions AND have seizures…and be diabetic (which can cause seizures). Whodathunk??? Ha! I never even thought to research Lula’s condition. Our hamster is not a pet we would take to the vet, so I just chalked her twitching up to zombie hamster and moved on. I don’t think I want to invest in hamster seizure medication or give her insulin shots, so I’m going to pretend I don’t know any better. Glad I piqued your curiosity though! I can’t wait to hear if anyone at your store has heard of the zombie hamster syndrome. We’ve also noticed lately that she’s developed a love of peanuts. Maybe because peanuts taste like brains?? ?